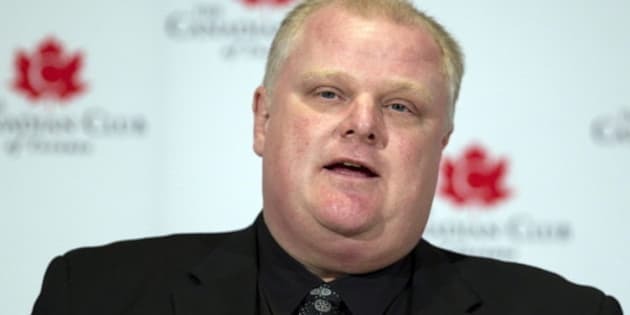 TORONTO - Toronto Mayor Rob Ford is once again being accused of talking on his cellphone while driving. City resident Sarah Barrett says she was driving next to Ford on Dundas Street near Spadina Avenue on Monday afternoon when she looked over and noticed him with his cellphone to his ear. Barrett says she later saw what looked like the mayor texting or dialling his phone while driving. She says there's no question it was Ford, noting he drives a vehicle with licence plates that say "Rob Ford." This is the second time Ford has been accused of talking on the phone while driving. The mayor admitted to doing it in July. This time, the mayor's press secretary has not confirmed or denied the accusation.